Dr Gary Fitt obtained his PhD from the University of Sydney and joined CSIRO as an Experimental Scientist in 1977. 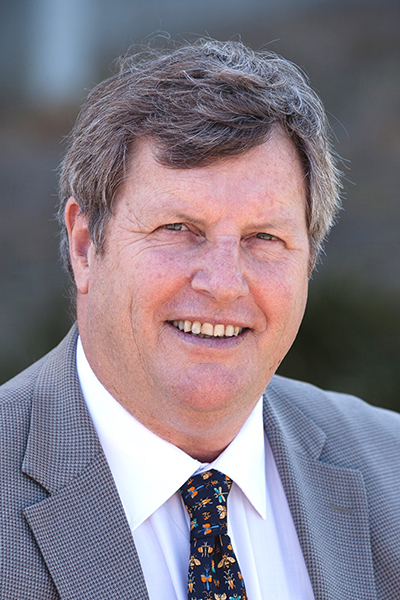 Dr Fitt advanced to the level of Senior Principal Research Scientist before becoming the Chief Executive Officer of the Australian Cotton Cooperative Research Centre (CRC) in 1999. In 2008 he became the Deputy Chief of the CSIRO Ecosystem Sciences in Brisbane, the position he held until becoming the Director of the Biosecurity Flagship in 2012. In 2014 he became Science Director for CSIRO Health and Biosecurity. A position he holds today. He has extensive research experience in agricultural sustainability and has focussed on the study of Helicoverpa moth, one of the most damaging pests of Australian and global agriculture. His particular approach has been to understand the moth’s ecology as a foundation for more sustainable pest management. His research in insect movement, migration and host plant resistance has greatly assisted in the development of Helicoverpa resistance management strategies. In the last ten years Dr Fitt has increasingly focussed on the research needs for biosecurity science for Australia and led efforts to protect Australia from invasive species and address emerging challenges in global risk and infectious diseases. He has published more than 100 refereed publications, and contributed to more than 20 books. He has held many positions, including Board Director of the Cotton Catchment Communities CRC and is currently Chair of the Science Advisory Body of the OECD Cooperative Research Program. He is an Adjunct Professor at both the University of New England and the University of Sydney.